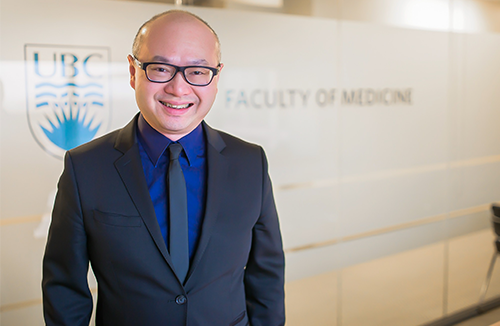 The Department of Medicine is pleased to announce that Roger Wong has been appointed the Executive Associate Dean, Education for the Faculty of Medicine, effective July 1, 2016 to June 30, 2021. The Department of Medicine would like to congratulate Dr. Eva on this achievement! The Department of Medicine is pleased to announce that Dr. Don Sin is a 2015 recipient of the UBC Killam Research Prize in the senior category. Mastership in the American College of Physicians (ACP) is an incredible honour that brings international recognition of both achievements in medicine and contributions to the community and the profession through ACP. BC is proud to have three outstanding physicians awarded Mastership this year. The new Masters will be formally recognized at the Annual Session in Washington D.C. in May of 2016. Two members of the Department of Medicine – Professor Emeritus Robert C. Brunham and Professor Julio Montaner – are being recognized by the Royal Society of Canada. It is with great pleasure that we announce that Dr. Diane Lacaille has been appointed as the Associate Head Academic Affairs of the Department of Medicine effective September 15, 2015. It is with great pleasure that we announce that Dr. Andrea Townson has been appointed as the Associate Head Education of the Department of Medicine effective September 1, 2015. It is with great pleasure that we announce that Dr. Anita Palepu will assume Headship of the UBC Division of General Internal Medicine effective September 1, 2015. We would like to announce that Dr. Adeera Levin has been selected as a 2015 recipient of the Order of Canada.